The Academy of Motion Picture Arts and Sciences has snubbed women directors and writers once again with this year's Oscar nominations. No women were nominated in the Best Director, Best Original Screenplay or Best Adapted Screenplay categories. Artists of color were also overlooked. None of the 20 nominees in the Best Actor/Actress or Best Supporting Actor/Actress categories were artists of color. Selma was nominated for Best Picture, but its director, Ava DuVernay, was not nominated for Best Director. But do women really need the Oscars to succeed? Since we noticed that none of the Best Picture nominees were blockbuster hits, WomenArts decided to take a look at the ten top-grossing films of 2014 to see if women were doing better at the box office than at the Oscars. Although none of the top ten films was directed by a woman, we discovered that four of them had women on their screen-writing teams: Guardians of the Galaxy (Nicole Perlman and one man - number 2), The Hobbitt: Battle of Five Armies (Philippa Boyens, Fran Walsh and two men - number 5), Maleficent (Linda Woolverton - number 7), and Dawn of the Planet of the Apes (Amanda Silver and 2 men - number 10). Although the top-grossing film, The Hunger Games - Mockingjay Part I, had male screenwriters, it is based on a novel by Suzanne Collins. So actually - five of the ten top-grossing films had women writers involved. Is It Better to Have an Oscar or a Blockbuster? The Hunger Games: Mockingjay - Part 1 has made over $333 million in U.S. sales so far. Obviously the income for blockbusters is shared among a lot of artists and investors, but when there is so much income, all the key players do well. For those of us in the non-profit sector, it is hard to comprehend the sum of $333 million. It is more than twice as much as the annual budget of the National Endowment for the Arts (the government agency dedicated to supporting our country's artists), and it would be enough to run WomenArts for about 2,000 years. Even within the film industry, The Hunger Games: Mockingjay - Part 1 has made more than twice as much in domestic sales as this year's highest Best Picture nominee, American Sniper ($128 million so far). It has made about six times more in domestic sales than last year's Best Picture winner, Twelve Years a Slave ($57 million). It made 47 times as much as this year's lowest Best Picture nominee, Whiplash ($7 million). When the international receipts for 2014 are added in, the order of the top-grossing films as of January 21, 2015 changes slightly, and three of the top four had women writers. (Note: The rankings change a little every day as some films continue to sell.) The male-written Transformers: Age of Extinction is number one with over $1 billion in receipts. But numbers 2, 3, and 4 are all films with women writers - The Hobbitt ($806 million), Guardians of the Galaxy ($772 million), and Maleficent ($757 million). By comparison, the total domestic and international sales for Twelve Years a Slave are currently $188 million. Although it is far less than the blockbusters, that amount is still a very healthy return on a film that cost $20 million to make. Transformers: Age of Extinction cost $210 million. We also looked at the top five all-time highest grossing films world-wide. The top three are by men - Avatar, Titanic, and Marvel's The Avengers. But Harry Potter and the Deathly Hallows Part 2 (based on the novel by woman writer JK Rowling) is number four with revenues of $1.34 billion, and the animated film Frozen, which was both co-directed and co-written by Jennifer Lee, is number 5 with revenues of $1.27 billion. Frozen is currently the top-grossing animated film of all time, and there are 8 Harry Potter films in the top 50 all-time top-grossing films world-wide. Of course, a few blockbuster films manage to win Oscars as well. Titanic won Best Picture and ten other Oscars in 1998, and Frozen won for Best Animated Feature and Best Song last year. But the Harry Potter series, the most successful movie franchise of all time, has never won any Oscars and is arguably the most snubbed top-grossing movie franchise of all time. Are Women Making Progress in Film? For the past seventeen years, Professor Martha Lauzen of the Center for the Study of Women in Television and Film at San Diego State University has published an annual survey of women's employment in the 250 films with the top domestic grosses. In 2014, she found that women comprised 17% of all directors, writers, producers, executive producers, editors, and cinematographers working on the top 250 films. This is the same percentage of women working in these roles in 1998. Women fared best as producers (23%), followed by executive producers (19%), editors (18%), writers (11%), directors (7%), and cinematographers (5%). Women directors were down 2 percentage points from 1998. Lauzen's statistics show that in terms of the number of women employed, women have not made any progress over the past 17 years, but it does seem like a few trail-blazers are starting to break into the upper income ranks. That seems significant since the films at the top make so much more than the films further down the list. Given the fact that so few women are given an opportunity to write, it is amazing that they are relatively well-represented in the top ten blockbuster films. And even among the Oscar nominees, five of the eight films nominated for Best Picture have women on their producing teams. Selma has an African-American woman as director (Ava DuVernay), and The Theory of Everything is based on a memoir by Jane Wilde Hawking. Hopefully these trail-blazing women at the top levels will pave the way for more women and more stories about women. It is encouraging that films based on novels by J.K. Rowling and Suzanne Collins have been such huge box office hits, and the success of films with female protagonists, such as The Hunger Games: Mockingjay - Part 1, Frozen, and Maleficent, shows that there is definitely an audience for films with female characters at the center. According to a Los Angeles Times survey in 2012, the 6,028 Oscar voters are 94% white, 76% male, with an average age of 63. Given that composition, it is not surprising that their recognition of the work of talented women and people of color is erratic at best. Although it is important to protest their snubs, it seems unlikely that they will change very much until their membership shifts. But it is important to recognize that some films with women writers are making huge amounts of money without the benefit of Oscar nominations. In the money-driven film industry, women who can demonstrate their box office clout are the ones who will be able to make more films, and we can help them build that power. We just need to buy tickets to their films and encourage all our friends to do the same. So if you want to see more films by directors like Ava DuVernay, make it a point to see Selma and take some friends with you. In the long run, our cumulative ticket purchases will give women artists the power they need to create the kind of films we want to see. 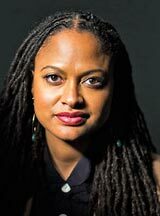 Although Selma was nominated for an Oscar for Best Picture, Ava DuVernay was not nominated for Best Director. She joins a long list of women directors who have been snubbed by the Oscars. Barbra Streisand was the first woman to win a Golden Globe for Best Director for Yentl (1983), but she was not even nominated for a Best Director Oscar. Her film The Prince of Tides (1991) was nominated for Best Picture, but again, she was not nominated for Best Director. Only four women have been nominated for Best Director in the 87 year history of the Oscars - Lina Wertmüller for Seven Beauties (1976); Jane Campion for The Piano (1993); Sofia Coppola for Lost in Translation (2003); and Kathryn Bigelow for The Hurt Locker (2009). Bigelow is the only woman who has ever won. J. K. Rowling completed the first Harry Potter novel while living as a single mother on welfare. The book was rejected by twelve publishers before it was picked up by Bloomsbury. Her editor advised her to get a day job since he did not think she could make a living from children's books. The Potter books have gained worldwide attention, won multiple awards, and sold more than 400 million copies. They have become the best-selling book series in history, and been the basis for a series of films which has become the highest-grossing film series in history. Rowling had overall approval on the Harry Potter film scripts as well as maintaining creative control by serving as a producer on the final installment. None of the Harry Potter films won any Oscars, but Rowling's wealth is currently estimated at $1 billion. The top-grossing film for 2014 is The Hunger Games: Mockingjay - Part 1 based on the novel by Suzanne Collins. The film has made over $333 million dollars and has a female protagonist, but it has not been nominated for any Oscars.